Ed Zelenak (Canadian, born 1940) Untitled Construction 1967, painted steel, 320 x 218.5 x 243.9 cm. McIntosh Collection, gift of the Ontario Centennial Commission through the Ontario Arts Council, 1969. Photo: Brian Lambert, 2010. Completed in 1942, McIntosh Gallery was designed by Toronto architect Hugh L. Allward. The exterior walls are of Georgetown limestone with casement windows framed in Indiana Bedford stone. The roof is slate. The 3,000 square-foot exhibition space is divided into two galleries. 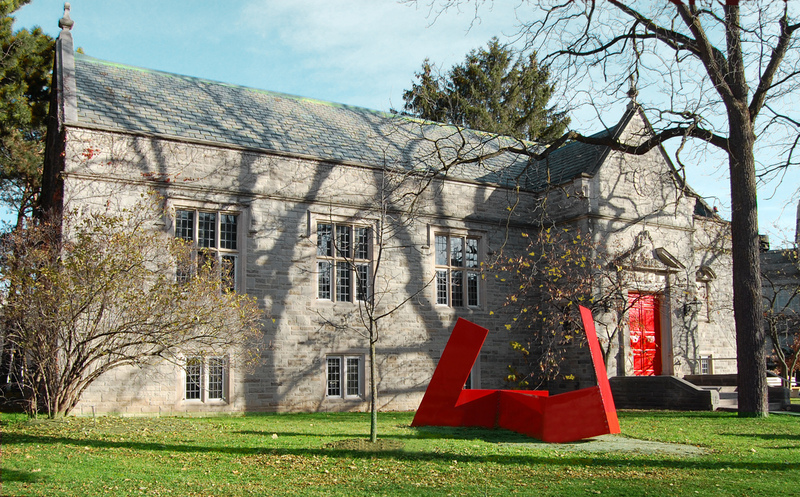 The building is surrounded by a sculpture garden featuring works by Ed Zelenak, Bill Vazan, Reinhard Reitzenstein and Miho Sawada. The Curatorial Research Centre on the lower level includes administrative offices, study areas, a library and collection management facilities. A 1,620 square foot collection storage vault is located in a separate building. Unfortunately at this time, the gallery is not wheelchair accessible. Major renovations completed in 2011, including new windows, doors, air handling systems and LED lighting, dramatically reduced the Gallery's carbon footprint. Energy Star appliances have replaced older models. 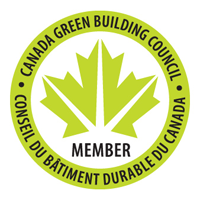 As of October 9, 2012, McIntosh Gallery is the nation’s first building to be certified under the new, more stringent green building guidelines, LEED (Leadership in Energy and Environmental Design) NC-2009. Other green initiatives include using local FSC (Forest Stewardship Council) certified walnut to frame works of art. McIntosh has dramatically decreased the amount of paper used for administration, documentation and dissemination by switching to electronic communications, including online publishing, invitations and other correspondence, and by presenting information in the gallery on energy efficient LED monitors.